The essence of versatility, the Men's Solace Short Sleeve Polo Shirt from Icebreaker offers all-year-round style. It features Cool-Lite, an ultra-lightweight blend of merino and natural TENCEL, which provides odor-resistance and temperature control. The fibers are corespun  around  nylon for added strength and durability, as well as next-to-skin softness; this top ideal for everyday wear as well as high-activity times. The slim-fit construction includes forward-set side seams for comfort, set-in sleeves for a great shape around the shoulders and a drop-tail hem for added coverage. 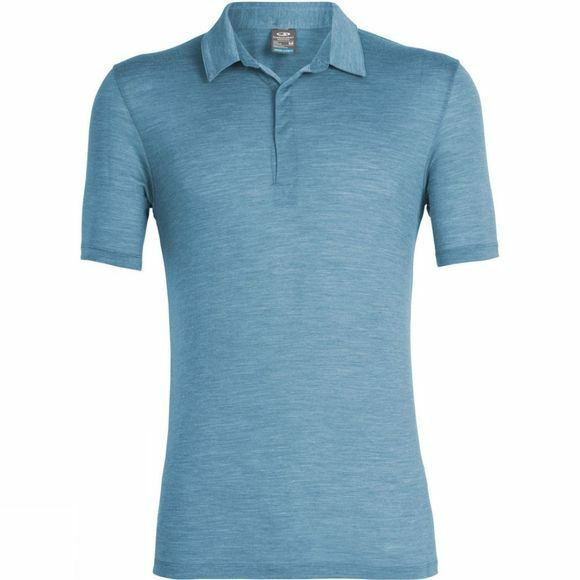 The polo-neck design will look and feel comfortable and smart right through from tee-off to dinner and drinks.